The most common connection used in grounding transformers is the Zig-Zag connection. 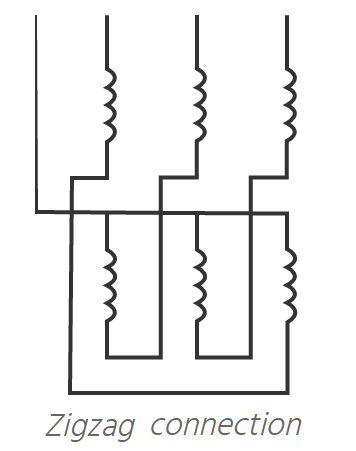 The grounding transformer is commonly referred to by this connection type, the Zigzag Transformer. Grounding Transformers are used for obtaining a grounded neutral on three phase, three-wire systems, providing a return path for zero sequence current generated by the loads in the system or by the fault currents. Sometimes a winding for auxiliary supply can be added besides the zig-zag winding. In a case of line-to-ground fault, sufficient current (3I) will flow through the neutral of the transformer, causing opposite current flow (I) in the zig-zag connected windings of the same core leg. This results in no magnetizing effect on the core and provides relatively low impedance from path to ground. Grounding transformers are most commonly used for short-time operation (approx. up to 30 sec) during the fault currents. 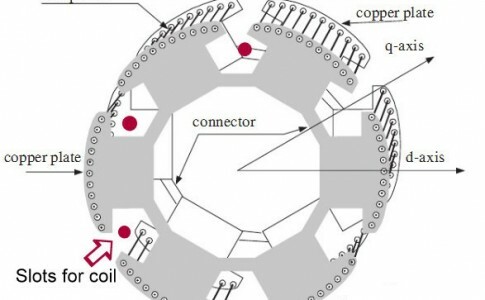 However, by connecting reactors they can operate continuously. 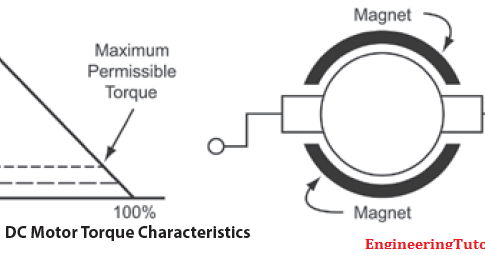 Primary Voltage is the system voltage to which the grounded winding is to be connected. Rated KVA. Because the grounding transformer is normally a short time device, its size and cost are usually lower when compared with a continuous duty transformer of equal kVA rating. For this reason, grounding transformers are often not sized by “kVA” but by their continuous and short time current ratings. Regardless of how you rate it, the grounding transformer must be sized to carry the rated continuous primary phase current without exceeding its temperature limit. 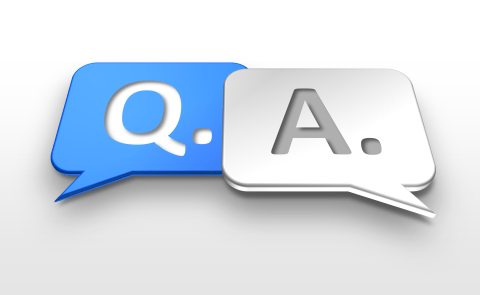 Typical continuous current values can be as low as 5 amps to as high as several hundred. Be sure to include any auxiliary loading requirements. Continuous Neutral Current. The continuous neutral current is defined as three times the phase to current, or in other words, the zero sequence current. This is usually considered to be zero if the system is balanced. However, for the purpose of designing a grounding transformer, it is a value that is expected to flow in the neutral circuit without tripping protective circuits (which would force the current to be zero) or the leakage current to ground that is not a symmetrical function. Again this value is needed to design for thermal capacity of the grounding transformer. Fault current and duration. This value is needed to calculate the short time heating that results from a fault on the system and should be determined from an engineered system study. Typical values for this range from a few hundred amps to a few thousand amps with duration times expressed in seconds and not cycles. For instance, a value of 400 amps for 10 seconds is typical. The fault duration is a critical parameter for the transformer designer. Where protection schemes use the grounding transformer for tripping functions, a relatively short time duration is specified (5 -30 seconds). On the other hand, a continuous or extended neutral fault current duration would be required when the grounding transformer is used in a ground fault alarm scheme. Impedance. The impedance can be expressed as a percentage or as an ohm value per phase. In either case it should be chosen so that the un-faulted phase voltages during a ground fault are within the temporary over-voltage capability of the transformer and associated equipment, such as arresters and terminal connectors. This value must come from the system designer. Secondary connections specify the secondary voltage and connection when applicable.